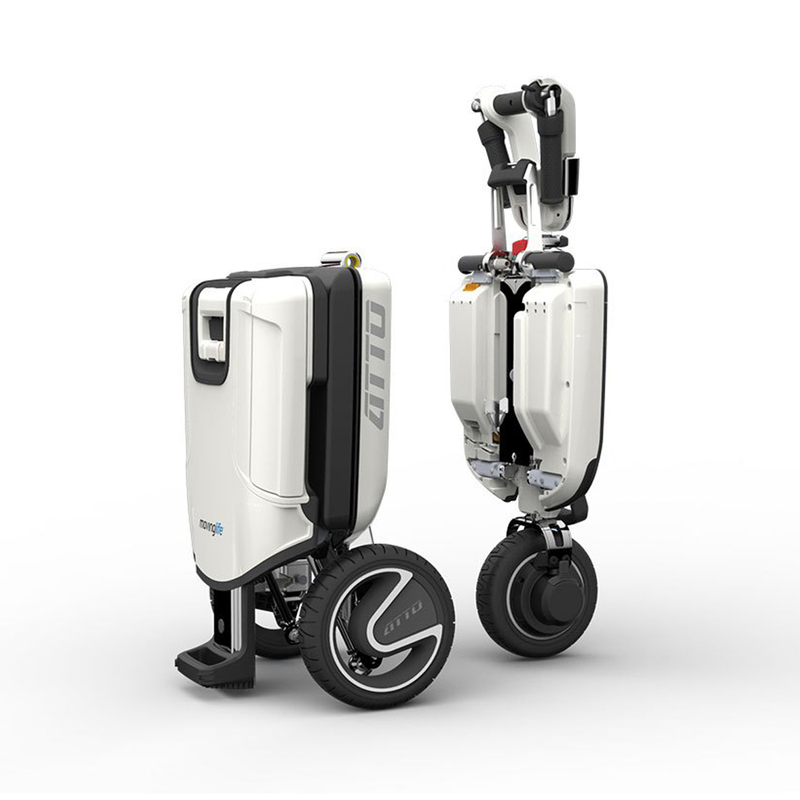 The most innovative scooters available, from e-goes. 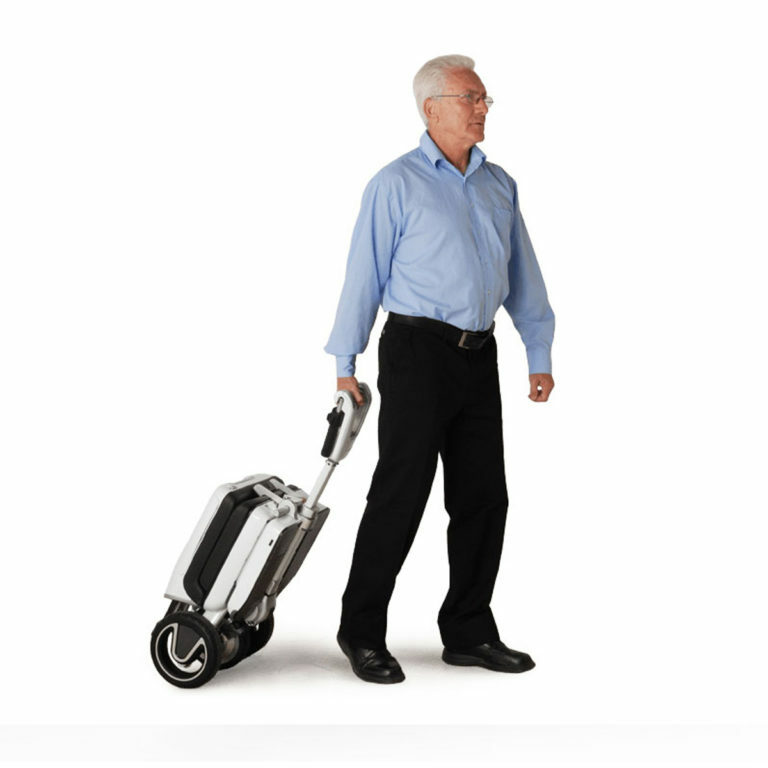 Atto is a cutting-edge mobility scooter, featuring a technologically advanced “transfoldable” design. 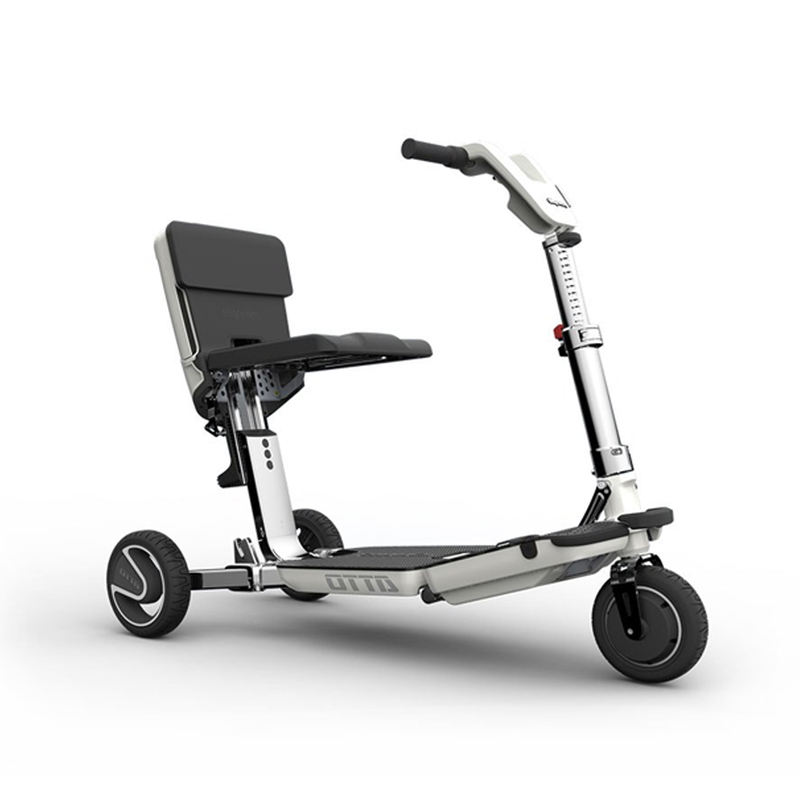 ATTO is a scooter designed especially for physically challenged people. 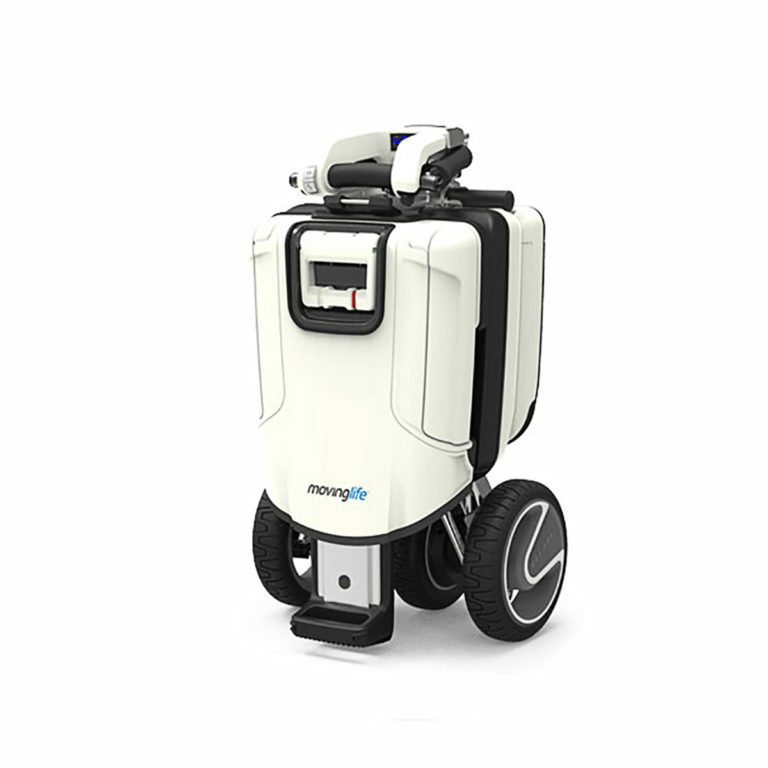 When unfolded, ATTO’s wide footprint (56cm/22” between rear wheels) gives the driver a comfortable and safe driving experience. We do this without compromising the small size achieved when folded. 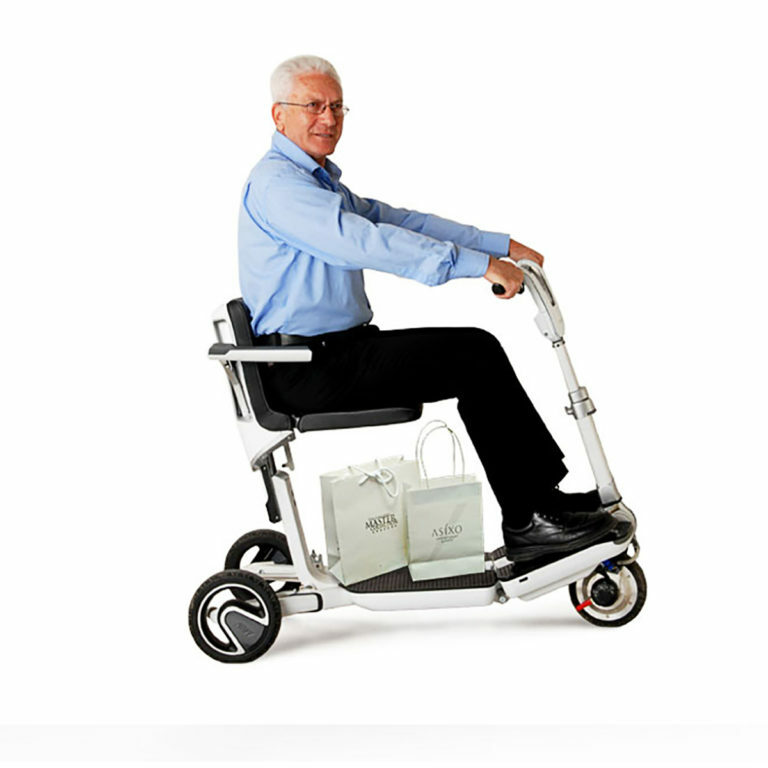 Users can effortlessly set any of the smart mechanisms for a perfect fit, including the adjustable user interface tilt, adjustable seat height and optional folding arm rests. Foot rest surface is flat for easy mounting, angled for comfort driving and covered with a special material to prevent slipping, all to create an obstacle-free environment. Optional armrests will be available soon.